MainAll NewsJewish WorldAn Arab bakery that observes Passover? An Arab bakery that observes Passover? This is a true story that occurred 47 years ago, and this writer corroborated with the granddaughter of the chief character, Rabbi Shlomo Zalman, in order to write it. The venue is Yefet Street in Yafo (Jaffa) where Jews and Arabs once owned businesses, one next to another. Rabbi Shlomo Zalman Shtouber owned a shoe factory on the colorful Yafo street, next to the famous Arab-owned Abulafia bakery. In Israel, almost every supermarket and corner grocery ceases selling bread or any leavened products during the weeklong Passover holiday, in accordance with Jewish law which prohibits bread. Non-observant Jews from Tel Aviv would line up at the bakery on Passover to buy bread products; the Abulafia family worked overtime to supply the increased demand. Rabbi Shlomo Zalman's tender Jewish soul ached at the site of seeing fellow Jews straying from Passover tradition and indulging en masse in Abulafia's baked goods. He approached the bakery's late owner Sayeed Abulafia with an attractive offer. 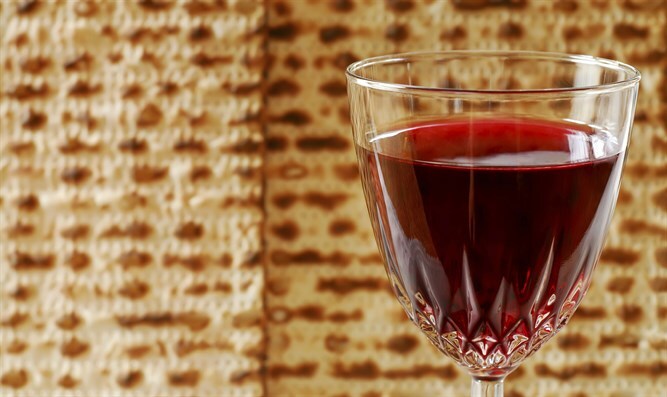 "How much profit do you make on the week of Passover," the Rabbi asked. "Passover is our most profitable week of the year," Sayeed answered, disclosing the staggering amount which was equivalent to the cost of an apartment in Yafo. Imbued with rock-solid faith that he would succeed, the Rabbi told Sayeed that he would organize the exact amount for him, if he would close his bakery for the entirety of Passover. And so it was. Sayeed, closed the bakery, took advantage of the time to do a few renovations, enjoyed the vacation, and didn't lose a penny of profit. For the next five years, Rabbi Shlomo Zalman Shtauber would arrive one week before Pesach with the payoff, and Sayeed agreed each year to close on Passover. In the 6th year, Sayeed came early to the rabbi's shoe factory to change the agreement: "Our family has had so much profit and blessing from Allah in the merit of our closing on Passover, that there is no longer any need to pay us. We will stay closed without the money." Both Sayeed and Rabbi Shlomo Zalman since passed away, but Sayeed's grandson who carries the same name, now runs the bakery and honors the same family tradition: "This Arab bakery closes on Passover," says the young Sayeed. Recently, Rabbi Shlomo Zalman's grandson Chaim Shtauber brought Sayeed a copy of the original agreement between their grandparents. The picture of the two grandchildren standing together in front of the bakery holding the original agreement can be viewed here.